Expanding the gut-brain axis: Do probiotics hold potential as treatment for bipolar disorder? You are in : All News > Expanding the gut-brain axis: Do probiotics hold potential as treatment for bipolar disorder? 20 Dec 2018 --- Probiotics have been flagged as a potential avenue of treatment to alleviate bipolar and other psychiatric mood disorders, a Baltimore Sheppard Pratt Health System study has found. Published in Bipolar Disorders, the research showed that a probiotic supplement reduced inflammation, which is known to exacerbate bipolar disorder, in the gut of participants hospitalized for mania. Probiotic organisms are non-pathogenic bacteria that, when present in the gut flora, may improve the overall health of the host. 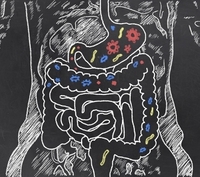 Recent research has demonstrated a strong link between the gastrointestinal tract and the central nervous system – the “gut-brain axis.” There is also mounting evidence linking imbalances in the microbial species that make up the gut microbiome to a number of health problems including allergies, autoimmune disorders and psychiatric mood disorders. Regarding bipolar disorder and the gut-brain axis, previous studies have shown that inflammation, or overstimulation of the body’s immune system, is a contributing factor in the disease. With this in mind, researchers developed a probiotic supplement aimed at reducing inflammation caused by microbial imbalances in the gut. A group of patients hospitalized for mania participated in a 6-month study to track the effects of the probiotic treatment on both their mood and the status of their immune system. The patients received the probiotic supplement, Lactobacillus rhamnosus strain GG and Bifidobacterium, or a placebo in addition to their usual medications. The results showed that the group that received the probiotic supplement, on average, didn’t return to the hospital as quickly and required less in-patient treatment time compared to the placebo group. The beneficial effects Click to EnlargeThe continuous media reporting on probiotics has also helped drive consumer interest in gut health. were most pronounced in those patients who exhibited abnormally high levels of inflammation at the beginning of the study. Overall, the researchers note that the results indicate that changes in intestinal inflammation can alter the trajectory of psychiatric mood disorders and that modulating the intestinal microbiota may be a new avenue of treatment for patients suffering from these diseases. Currently, bipolar disorder is treated with a combination of psychotherapy and prescription medications, such as mood stabilizers and antipsychotics. About 3 million people in the US are diagnosed every year with the disorder, the researchers say. Growing interest interest in the use of natural ingredients, such as probiotics, for disease or disorder management and prevention, is increasing. “Scientific evidence is gradually indicating the link between food and health maintenance as well as the potential of food to prevent or delay disease development. There is a lot to discover and new studies are welcomed, knowing that research has shown that different probiotic bacteria have different effects on health and disease,” she adds. Digestive health is an ongoing discussion and science continues to link a healthy microbiome to nearly every facet of health. The continuous media reporting on probiotics has also helped drive consumer interest in gut health. 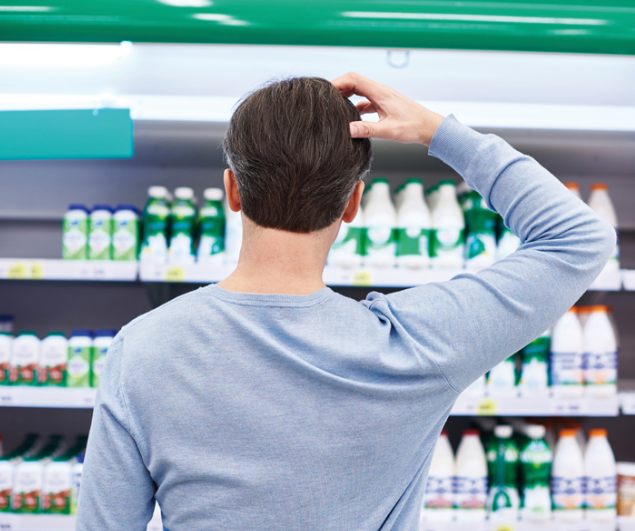 This growing area offers a wealth of opportunities to formulators, but due to regulatory demands and increasing consumer scrutiny, a clear view of how to navigate this space is vital. However, a study published in Cell, noted that some probiotics successfully colonized the GI tracts of some people, called the “persisters,” while the gut microbiomes of other people, called “resisters,” expelled them. They also found that stool only partially correlates with the microbiome functioning inside the body, so relying on stool to study probitoics, as was done in previous studies for many years, could be misleading. However, the IPA’s Executive Director responded to this study noting that, “claiming that probiotics are useless is not only senseless but also irresponsible.” The IPA has called on the European Commission to find a common approach to the term probiotic, especially as each microbial strain must be in line with scientifically-based criteria to qualify in the first place, Pecere explains. “We are open to engaging in a constructive discussion with the European Commission, with the objective of finding a workable approach within the European Union,” she concludes.